Hey gang, The Nightmare on Helmstreet has picked up and moved. Thanks to all our readers who made this whole thing possible. I hope you like the new diggs. 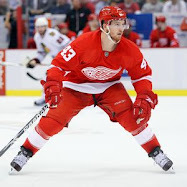 The top two pairs will remain the same (Nicklas Lidstrom-Jonathan Ericsson, Brian Rafalski-Brad Stuart). They'll play against the opponent's top two lines. Then he'll pair one of those players with Brett Lebda and another with Derek Meech to use against the third and fourth lines. And he'll rotate. Say what? Would you mind clearing that up for us a little bit, Babbles? Thanks, Coach. It looks like both Meech and Lebda have been given a vote of no confidence as a pair. Anyone want to argue with that logic? I didn't think so. Spread out a little too much? On the first powerplay goal, you could throw a blanket over all four of the Wings, and every single one of them had their eyes glued to the puck instead of...ya know...looking for someone to conver, say like, Jason Arnott. The guy isn't hard to miss. Protect the front of your net by taking the body instead of trying to play the puck. I hate that. "You're chasing the puck. Those are kids getting lessons on the road, that's part of the process we're in. You just keep plugging and grinding every day." Dirk Hoag: Let's Go Marty, It's Time To Party! Might he start earning that paycheck? 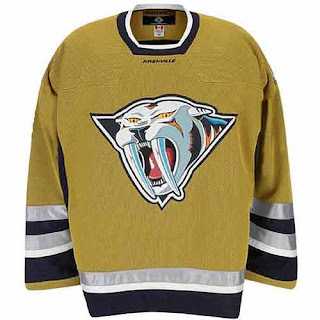 Thank goodness… 2-0 Preds! Dirk is the proprietor of On The Forecheck. Though I did respect his oppinion and occasional relevant article during his time at KK, he seems to have fallen back into a world where exclamation points and bad rhyming are acceptable. "Let's Go Marty, It's Time To Party!"? Sounds like a bad facebook event, doesn't it? LuvThePreds: monitoring Wings' SB nation site….“Winging it in Motown,” and there’s only been one bash-Nashville comment. Chicago was by far the worst in that department. Mainly, they’re just venting about Bertuzzi’s penalties. This is somewhat amusing to me, the fact that not only did this person check WIM to make sure no one was saying anything bad about their team...but it looks like they do this on a regular basis. Yes, I see the irony of making fun of someone for monitoring other teams' blogs, but I do it post-game, dammnit. That's a big difference. And oh, Chicago fans lacking class? I don't believe it. Did anybody get that? Ok, that one was bad, I'll admit. But these fans aren't really giving me anything to go with. You think anyone over at the A2Y Liveblog used the word "phooey"? I'm guessing not. EXPECTATIONS: getting noticed on nhl.com again!!!! Your obligatory CAPS LOCK and exclamation mark abuse post...there's one in every family. And getting mentioned on NHL.com is cause for that much excitement? Sounds like your "EXPECTATIONS" are pretty low for a team that plays in the NHL. Please do...it's nothing to ashamed of. Surprisingly respectful and fairly well spoken game thread, small as it was. Abel to Yzerman had almost 18 times as many comments, but that is why the Chief is the master. So...enjoy it while it lasts, Bubba. 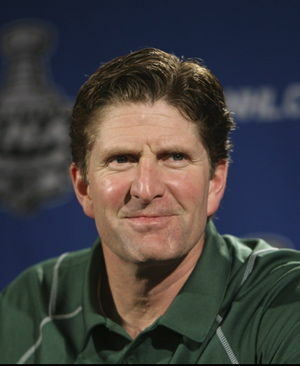 Remember that you took the regular season series last year, yet you were still golfing when mid-April rolled around. "The punishment should be five games and skating lessons." "If they summon you to Toronto, it's at least four games. He probably didn't mean to hurt him, Georges is just too heavy on his skates. The punishment should be five games and skating lessons." "We have to get rid of plays like that. Clearly he was beaten and he was trying to stop him and he stuck his leg out. That's when guys get hurt. We have to send a message that we can't do that -- whether it's to a player on our team or another team." 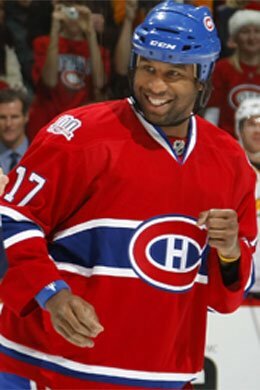 Even in Montreal there are demands that Laraque be punished. On Rue Frontenac, web site of the locked out Journal de Montreal employees, Pierre Durocher noted yesterday that he had gotten a number of emails from fans condemning Laraque’s recklessness. No intent, huh? Your knee just sort of accidentally stuck itself out? Why would you try and hurt him? Maybe it's because you're a goon. You're not paid to score goals, block shots, kill penalties...you're paid to enforce. What's more believable: that it was purely accidental, or that you were frustrated because you were already taking a bad penalty so you made a stupid decision? I'm thinking it's the latter. Basically, whatever suspension he is handed down isn't long enough. This was a fourth line player taking out a top echelon defenseman. 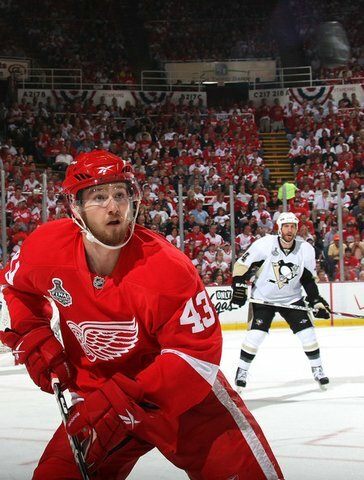 Laraque may get 1-5 games, but what about Kronwall? He could be out for two months. If you ask me, a blatant cheap shot such as this should see the offender be suspended for the duration of time spent on the sideline for the victim. Think Georgey boy would think twice about sticking his leg out if that were the case? 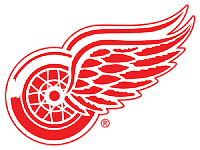 The Nightmare on Helm Street is a fledgeling blog overwhelmingly dedicated to the Detroit Red Wings and the destruction of their enemies. Drew started a non-partisan blog in 2008 which failed miserably and he eventually created N.O.H.S. on the scorched Earth thereafter in July 2009. Chris was added as an author three months later. Both are washed up college hockey players, except Chris is a stupid goalie. Have You Noticed Nik Jr.? NHL Suspension Policy - Uncovered! Yzerman, Best of 2009 HHOF Class? Don't Worry, People...I got this. Can't Score Goals? Play Detroit. What is your Biggest Concern for this Season?